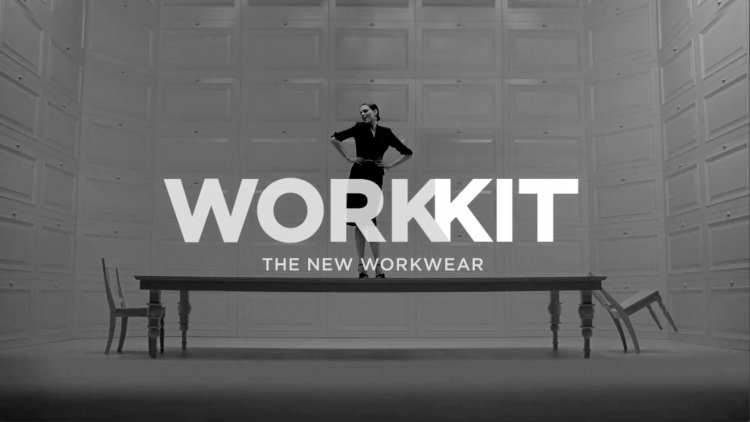 to augment the work-kit television commercials, created and produced by ceft and company, the agency proposed auxiliary ideas that drive home the brand message of “modular work wear”. 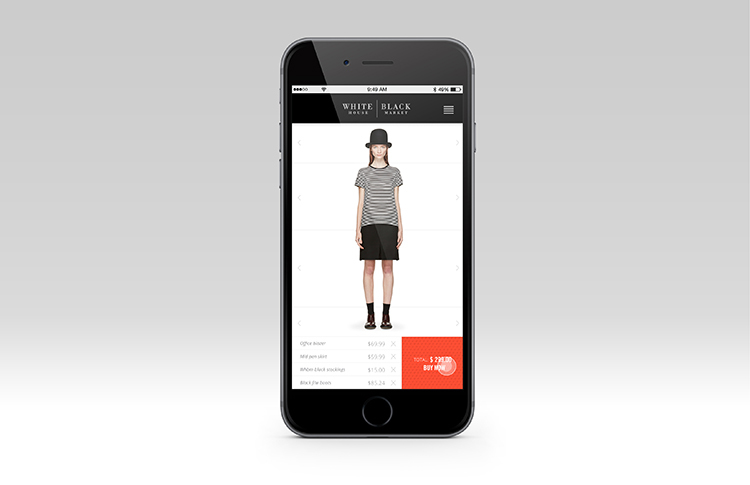 by visually incorporating this message into the main ecomm site, as well as a mobile app, we created an interactive, fun, shopping experience that allows easy visualization of not only the looks, but also the modular idea behind the work-kit line of fashion wear. the user is faced with 6 of the most popular curated looks. 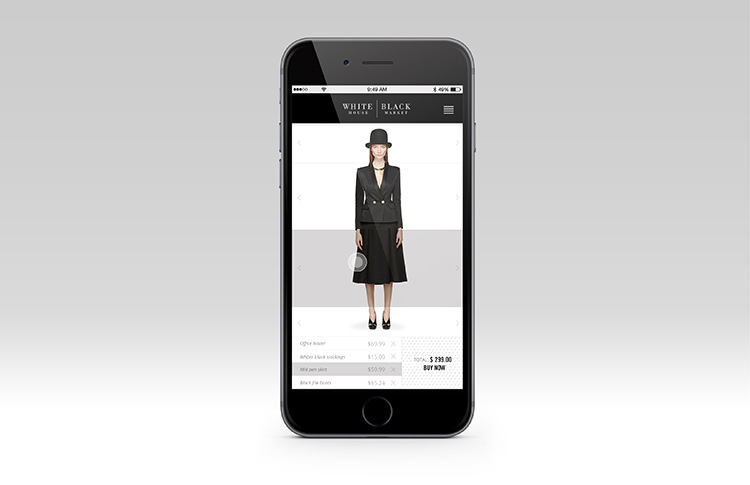 the user can select any one of the looks as a base, and alter it to their taste. and 4- add accessories until their preferred look is created. the app automatically calculates and changes the total cost based on the items in view on the bottom of the app. a click on the red “buy now” takes you to your cart so you can complete your transaction or construct another look. the results speak for themselves. this was just one of the many ways the idea behind the advertising campaign could be implemented in other touch points of the brand. the same idea was also implemented in the ecomm site proposal. the agency also made efforts to create strategic packaging that not only looked premium but also played a role in communicating the brand message of modularity and bringing simplicity in the life of today’s working women. 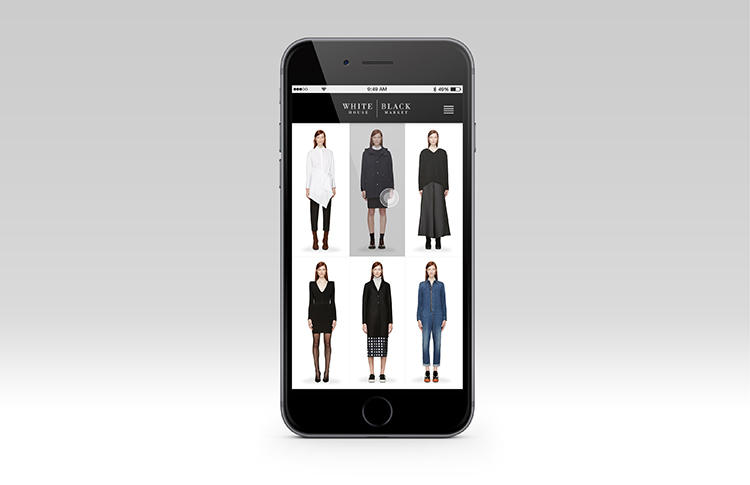 view all work for white house black market.